Without TuneCore, says Ron, my project wouldn't exist in the way it does now. TuneCore, the premier digital music distributor, announced today that rock artist, Ron Pope, has achieved a major career milestone with 1.5 million digital downloads of his music distributed by TuneCore. A major achievement by any standard, his success is especially impressive as Ron is an independent artist managing his own career. TuneCore will be joining Ron on stage at his August 10th concert at Irving Plaza in NYC for a special presentation to celebrate his 1.5 million downloads. 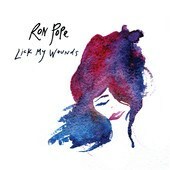 Ron will be debuting his new single “Lick My Wounds” just released today through TuneCore and available for sale on iTunes. Ron, a TuneCore Artist since 2008, has released 10 albums and 25 singles including one of his biggest hits “A Drop in the Ocean”. He acknowledges that TuneCore has played a major role in his success as an independent artist. Chris Mooney, who has worked closely with Ron and other artists in his role as TuneCore’s Senior Director of Artist Promotions, says, “It is so great to follow the journey our independent artists have taken and the success they've built as part of the TuneCore Music Distribution community. Today, we are shining the light on Ron Pope’s remarkable sales. Ron joins the ranks of other recently acclaimed TuneCore Artists such as The Civil Wars and Lecrae, who won Grammy awards, Cassadee Pope, the 2012 winner of NBC's “The Voice”, and J. Dash, who earned an RIAA certified gold record “Wop (Official Version)”. TuneCore was founded to enable the type of music careers that Ron and other artists have developed as independent artists. TuneCore gives any artist, for an affordable fee, the ability to get their music heard and sold around the world, to keep all their rights and 100% of their sales revenue, and do it without the need for a label. Ron’s August 10th concert in NYC is sold out, but you can hear his music and learn more about Ron at http://ronpopemusic.com. TuneCore Music Publishing Administration gives songwriters worldwide the ability for TuneCore to license and register their compositions globally, collect royalties from over 60 countries and deposit the royalty revenue directly into their TuneCore account. Driven by in-house Creative, TuneCore actively markets compositions for synch licensing agreements for music placements in TV, Film, Commercials, Video Games, and more. The exclusive Synch & Master Licensing Database provides Music Supervisors access to TuneCore Artists’ music for commercial use.